We have spent the latter part of 2013 implementing collateral freedom in China and explaining the concept to those that are interested. Here are answers to some of the most common questions surrounding our plan to end online censorship in China. 1. You are just creating mirror web sites and they will get blocked. We are creating more than mirror web sites. What we are doing is leveraging the global cloud infrastructure by creating ‘unblockable’ mirrors via unblockable cloud services. This approach would not have been possible five years ago because Amazon and other companies offering cloud hosting did not have the critical mass of clients necessary. A critical mass is needed because China will clearly see that blocking all access to Amazon AWS, for example, would have devastating economic consequences inside of China. Five years ago, not that many people were using cloud hosting so the government could afford to block the Amazon domain - today, that is possible, but highly unlikely. Amazon AWS clients in China include Qihu 360, Xiaomi, FunPlus Game, Mobotap, TCL, Hisense, Tiens, Kingsoft and Light in the Box. 2. Some major companies use Amazon to host their websites but they are blocked in China. How is your approach different? That is because the urls for those companies are DNS poisoned. One of the pitfalls of our approach is that we will have to use the s3.amazonaws.com domain name to host all unblockable mirror web sites, like https://s3.amazonaws.com/cn.reuters/index.html. But the positives far outweigh the negatives - having an unblockable url means more than having an easy to remember but blocked website. Plus, organisations can use their social media channels to promote their new domain. While the weibos may get deleted or censored, once the message is shared, the url will also be shared and has the potential to reach a much larger audience. We have also started a directory of mirror websites that we are hosting in China on Github - the link to this directory is also unblockable. If a company wants to promote their new unblockable url, they could also purchase advertising sharing their new url that could run on Chinese language web sites. 3. 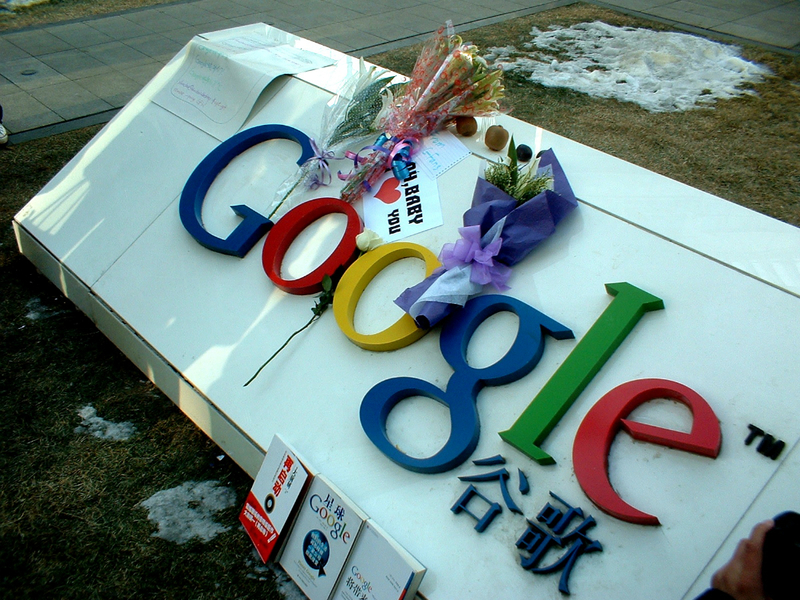 China can selectively block urls, regardless of whether or not they are encrypted. This is not true. The only way for China to block a url from an encrypted domain is to block the entire domain. 4. Companies won’t create unblockable websites in China because they have economic interests to protect. That is something that we cannot control. We don’t know what the end will be for some of these stories (as is the case for Bloomberg). But what we can say is that advertising can be served on our unblockable mirrors, which means that ad dollars can be generated, which will certainly be of economic interest to some media organisations. Plus, how long are media organisations going to wait until they get access to China - and by that time, will it be worth it? We hope that it is not the ten year time period that Eric Schmidt believes in. 5. China will ask Amazon and others to remove your mirrors. Amazon, Apple, GitHub and Microsoft are US companies that need to consider their reputations worldwide. The Chinese authorities will likely try to pressure them into censoring content on their behalf - it’s up to all of us to convince them that they should not. So far, Amazon has not taken down our mirror websites, GitHub has not taken down our content hosted there and Microsoft has not closed down our Azure servers - but Apple did remove our FreeWeibo app from the China App Store. The more important the content provider is, the less likely we believe it is that any of these tech companies will censor them. Would Microsoft dare to censor the New York Times? 6. China will just block Amazon, The App Store, GitHub, etc. if you take this approach. In early 2013, GitHub was blocked in China, after it had been used to gather support for a petition to ban contributors to the Great Firewall from traveling to the US. It’s clear that the authorities had a reason to block GitHub - but after only a couple of days, they unblocked it again. Why? There was an online protest against the blocking, including voices of influential people, and GitHub is an important tool for software developers in China. The content that the authorities disapproved of has not gone away - if anything, it has grown. But this has proved that the authorities are unable to block that content. Similarly, the authorities have tried to block our mirror websites on S3 - but they have given up. Since we are using all of these platforms to implement collateral freedom - Amazon, GitHub, the App Store and Microsoft - they also know that to effectively stop us they have to block all of them. So far, even the cost of blocking GitHub was considered too high. Nothing is certain, but this is a strong indicator that our approach can be sustained. 7. Is it illegal for companies like Amazon and Google to host these unblockable mirror sites? It is not against Chinese law to host such websites. There have been no court orders or legal edicts that have decreed websites such as Facebook, Twitter and the New York Times to be illegal. They are secretly blocked without any jurisdictional overview. The Chinese government could publicly declare those websites to be illegal and obtain court orders to support their claim. Then they can send those court orders to Google to ask them to restrict local access to specified websites, including our mirrors. Chinese law specifies that adult websites are not permitted; we fully respect that. However, there is no law prohibiting the use of Facebook or Wikipedia. Freedom of speech is written into the Chinese constitution. By providing access to such websites, we are upholding Chinese laws, not violating them. Do you have other questions? Feel free to email Charlie Smith and we will post your questions and our answers here. Don't go overboard with shimmer; apply it sparingly and lightly. This will give your skin a nice glow. Aim for higher parts of your facial area with highlighter, such as cheekbones, brows and your nose. Finally, set it in place with loose powder layers. What happens if you want to install a different version of the operating system on a computer. However Dream - Scene is still there, but it was deactivated. A entirely risk-free resolution with no chance of bricking your boot sector or producing your laptop unbootable. Many of the sites got blocked due to the newly invented technique from china. They have ending the online censorship in China for making their work to clear for all. That is why most our websites gets break. They have ending the online censorship in China for making their work to clear for all.